As I finally finish working through my bibliographical materials for my thesis and remaining project papers, one of the books I finished last night is J. Milton Yinger's Countercultures: The Promise and Peril of a World Turned Upside Down (New York: The Freee Press, 1982). In his chapter on symbolic countercultures he includes discussion on rituals of opposition and how these serve or function as countercultures. In this section he discusses the belief in "inverted beings" among the Lugbara in what is now known as Uganda. He states that these beings "behaved in ways 'the opposite of the ways expected of normal socialized persons in Lugbara society today.'" "However much the image of witches distorts reality, it can operate as a powerful symbol of feared and hated forces loose in an uncertain world. Contemporary malevolent witches, if I can stretch the meaning of the term somewhat, are not generally seen as possessed of supernatural power; but they are seen as inverted beings of enormous and mysterious influence, dedicated to the overthrow of the social order. The 'witchcraft trials' promoted by Senator Joseph McCarthy, for example, developed a powerful symbolism of a threatening counterculture. The United States was entering a bewildering time. In possession of weapons of incredible destructiveness, it faced the fact that a cultural adversary (as much as or more than a geopolitical adversary) had also created such weapons. The world was changing in many ways at unprecedented speed. Scarcely able to draw the line against such massive and impersonal changes as were occurring, some felt the need to personalize them, to lodge their sources in individuals whom one might hope to constrain." For those interested in a further exploration of this idea of the social construction of inverted beings or the "evil other" I'd recommend the work of folklorist Bill Ellis in his fine books Raising the Devil: Satanism, New Religions, and the Media (University of Kentucky Press, 2000) and Lucifer Ascending: The Occult in Folklore and Popular Culture (University of Kentucky Press, 2004). My point for critical reflection by evangelicals is to ask to what extent in a rapidly changing world wherein we have diminishing credibility, influence, and voice (thus resulting in our posture of defensiveness), are we unconsciously making inverted beings out of those in the new religions and world religions? Finally, while it may not be directly related to these develpments, my friend and colleague Jon Trott of JPUSA passed along an inquiry from a public television station with an invitation to write a review of a forthcoming documentary on Mormonism that will run this spring as a result of a collaboration between PBS's American Experience and Frontline. I have agreed to preview part one of this series and to write a review for various venues. I think these activities represent significant and positive results that have taken place by the articulation of a thoughtful alternative perspective. "Going Native? How Far is TOO Far? (and How Far Isn't FAR ENOUGH?)" In history of Christian missions overseas missionaries have long wrestled with communicating the Christian faith in culturally appropriate forms, and in drawing upon the culture to create indigenous expressions of church and Kingdom community. But how far is too far? When does "contextualization" cross the line into syncretism? Western Christians are not used to appreciating the importance of this question in "Christendom" culture, but the shift to post-Christendom and increasing religious pluralism make these the leading questions for faith and living in the twenty-first century. These presentations will introduce the issues and will explore how the history of missions and the diverse cultural expressions of Christianity might inform our understanding of communicating the gospel and expressing it in America. We will also consider the relevance of creativity and artistry to the theological and missional tasks. "Feast of Fools: Burning Man, Rainbow Gathering & Holy Festivity"
History has seen the rise of a number of utopian community experiments, and this is also the case wit the twentieth and twenty-first centuries. One of the more interesting post-modern utopian experiments is the Burning Man Festival in Nevada. This seminar will explore the meaning of this festival for participants, and will consider it in comparison with other countercultural utopian movements such as the 1970s Rainbow Tribe. We will also explore the relevance of festival as a missing dimension of the church's connection with nature and the liturgical calendar of celebrations and what Burning Man might be "saying" to the church's omissions as a result. Muck Lecture: "Lessons from Mormons for Missional Religious Studies"
Last night Terry Muck of Asbury Theological Seminary presented a public lecture in connection with his intensive course on world religions titled "Lessons from Mormons for Missional Religious Studies" at Salt Lake Theological Seminary. This lecture was the second installment in a three-part series. Muck began with a summary of the first lecture wherein he is discussing the relationship between Christian mission and religious studies and how these disciplines fit together. His intention is to make the case that the best mission takes place in connection with religious studies, and further that missional religious studies is a better form of engagement in religious studies than that which claims to have no ultimate commitments in connection with it. Muck's presentation summarized Rodney Stark's research in the areas of conversion, religious capital, and revelation that looked at these areas in relation to three religious movements, that of early Christianity, the Church of Jesus Christ of Latter-day Saints, and the Unification Church. In this process of research Stark draws upon an agnostic methodology (rather than metaphysical agnosticism) which Stark (and Muck) feels represents the best methodological posture for social science research. In the area of conversion Muck drew attention to Stark's research that indicates that people convert due to social connections rather than commitment or a change of commitment to a belief system. 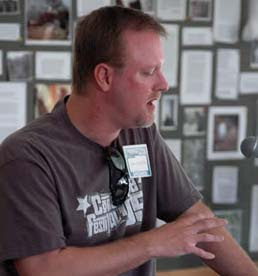 Stark does not engage in sociological reductionism in that he does not attempt to dismiss all religious commitments as a result of social (or other) processes, but attempts to understand the significance of social dynamics to religious commitments that Muck then connects to missiological considerations. Muck feels that a missiological implication of Stark's research on conversion is that Christians should provide a welcoming environment that brings people into Christian community. Muck then discussed religious capital or the degree to which one masters a religious culture through the development of skills and the appropriation of a knowledge base in this religious culture. Those religious communities that allowed individuals to bring as much of their previous religious capital into the new religious community were more successful than those that did not. For example, early Christianity allowed converts from Judaism to bring their religious capital into the new religious community, as did Buddhists with Hindus, and Mormons with Protestants converts. Muck feels that the missiological implications for this are for Christians to find ways that people can use their religious capital in the church, and that priority should be given to positive points of contact with other religious cultures rather than dissimilarities (contra the thinking of missiologists such as David Hesselgrave and Gailyn Van Rheenen). In Stark's research into revelation, people tend to dismiss those who claim to receive revelation as either frauds or insane. Stark disagreed with this and believed that normal people can receive God's revelation and that God's voice might indeed be heard and filtered through religious cultures in differing ways. The missiological implications for this, according to Muck, are the need for Christians to understand the context of community and its importance for understanding another religion's revelation and why it is understood the way it is in this context, and secondly, that we might consider the possibility that all people hear God in some way but that it is filtered through their cultural and religious matrix. Muck then moved to his conclusions, the first being that nobody is commitment free, that is, even those religious studies scholars who claim to be completely objective have some form of ultimate commitments whether religious or irreligious. Muck feels that the best scholars are those that acknowledge their commitments up front, and he presented George Marsden as an example. His second conclusion was that all people engage in some form of rhetoric or attempts at persuasion, and Christians have as much of a right to engage in this as scholars or others. In terms of rhetoric from a Christian perspective this must be done responsibly. Muck feels that those Christians committed to bringing religious studies and missiology together in missional religious studies do better religious studies because they bring both of these areas of ultimate commitments and rhetoric together. In April Muck will look at examples of the application of missional religious studies in the history of Christian mission for the audience to consider in terms of application and an analysis of its strengths and weaknesses. "The best dialog is one in which those old-fashioned virtues of courtesy and mutual respect are allowed to have the upper hand of what our culture seems to best at: points-scoring and vilifying the opposition. I can think of no better way to conclude here than with a biblical word; the most frequently broken of the ten commandments is not the one about not commiting adultery or not stealing, but the one that follows it: 'You shall not bear false witness against your neighbor.' For the ultimate limitation on dialog is that one must not bear false witness, either in your neighbor's hearing or more especially behind his or her back." - Eric Sharpe, "Faith at the Round Table" Areopagus 7, 4, 1994, p. 34. Evangelicals and the New McCarthyism? A few years ago when I read Gordon Melton's characterization of evangelical approaches to new religions among the counter-cult as "amateurish" (Missiology Vol. 28, no. 1 [Jan. 2000]: 85-98) I took exception to it. I was only part way through my reassessment of counter-cult methodologies and had not yet experienced a paradigm shift. But the more I observe many of the folks in this community the more I think Melton was correct in his assessment. I recently had an exchange with a member of the counter-cult on the topic of Mormonism and I came away from that encounter with two images stuck in my mind. 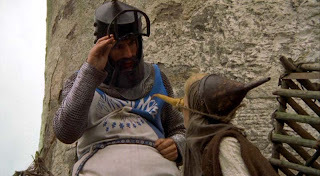 The first is a scene from Monty Python and the Holy Grail, the scene where a group of medieval townspeople bring a woman forward with allegations of witchcraft. If you haven't seen this film you can view this scene on YouTube: http://www.youtube.com/watch?v=yp_l5ntikaU. This scene came to mind not only in terms of the questionable means of assessment and understandings that many (but not all) evangelicals have of new religions, but also with the glee exhibited in the townspeople over the hopeful burning of the witch, a glee that I see reflected in many an evangelical as they denounce religious others that they claim to care about. The other image that came to mind, and one far more disturbing, is that of McCarthyism. I recall watching newsreel footage of the political "witch hunts" this country experienced in its zeal to weed out communism, a zeal that often times saw communists in the ranks of fellow Americans that were not there. This image came to mind as I had just experienced a similar zeal on the part of a segment of the counter-cult intent on labeling myself and others as divisive and dangerous to the church. With these kinds of judgments it seems as if at least one segment of the counter-cult is launching a new form of McCarthyism in the church, and demonstrating theological and missiological naivette in the process. For now I'm be content to chuckle at the "expert" mob that brings forward alleged heretics. Let's just hope that they remain small and marginalized. Salt Lake Theological Seminary recently sent out the following announcement in connection with Dr. Terry Muck's upcoming installment in the intensive course on world religions. "On Thursday, March 22, at 7:00 p.m., Salt Lake Theological Seminary will host a free public lecture featuring a distinguished Presbyterian (USA) minister, author and speaker, Dr. Terry C. Muck, Professor of Mission and World Religions at Asbury Theological Seminary. In his lecture entitled "Lessons from Mormons for Missional Religious Studies," Professor Muck will help us mine the history of the Latter-day Saints for lessons in church growth, conversion, revelations, and inter-religious conversations." I will post a summary and reflections on Muck's lecture next week after completion of the weekend classes. Barna Report on "Unchurched Population"
(Ventura, CA) - Life in America has changed greatly since 1994, with massive changes in technology, global politics, lifestyle choices and family dynamics. But one constant has been the proportion of adults in the population who are unchurched. During that period there have been noteworthy shifts in religious behavior, but the percentage of adults who have steered clear of churches for at least the past six months has remained stable since 1994. A new survey released by The Barna Group, which has been tracking America’s religious behavior and beliefs since 1984, reveals that one out of every three adults (33%) is classified as unchurched - meaning they have not attended a religious service of any type during the past six months. While that figure is considerably higher than the one out of five who qualified as unchurched in the early Nineties, it is statistically unchanged since 36% were recorded as having avoided religious services in the company’s 1994 study. Residents of the West (42%) and Northeast (39%) remain the most church resistant, while those in the South are the least prone to avoid religious services (26%). When these statistics are projected across the aggregate adult population, the numbers are staggering. An estimated 73 million adults are presently unchurched. When teens and children are added, the total swells to roughly 100 million Americans. To put that figure in context, if the unchurched population of the United States were a nation of its own, that group would be the eleventh most populated nation on earth (trailing only China, India, the churched portion of the United States, Brazil, Pakistan, Nigeria, Bangladesh, Russia, Japan and Mexico). Included among the unchurched is an estimated 13 to 15 million born again adults and children. Many of the insights drawn from the experiences of "Jim and Casper" [in the book Jim and Casper Go to Church (Tyndale House Publishers, 2007)] parallel the findings of Barna Group studies among the unchurched. Some of the critical discoveries were the relative indifference of most churched Christians to unchurched people; the overt emphasis upon a personal rather than communal faith journey; the tendency of congregations to perform rituals and exercise talents rather than invite and experience the presence of God; the absence of a compelling call to action given to those who attend; and the failure to listen to dissident voices and spiritual guidance to dig deeper in one’s faith. First, it may be a minor point, but I have a strong distaste for Christian terminology that defines and refers to others based upon what we think they should be or where they should be rather than what they are. Our use of "unchurched" is the case in point. Second, Barna's definition of "unchurched" seems rather wide in its timeframe of six months for no church attendance. If this definition were revised the numbers would be larger than his estimate. Third, Barna does not appear to consider the implications of the "never-been-churched" (to continue this use of terminology) who will be far less likely to come to church to encounter the story and spiritual pathway of Jesus than those who were there at some point in the past. Fourth, Barna might give more consideration to those Christians who maintain a deep faith and yet find the church rife with shortcomings in maintaining that faith. These "church exiles" have been discussed by researchers such as Alan Jaimieson. Fifth, pastors, church planters, and Christian leaders "doing church" in the Western part of the United States should note that this area has the largest concentration of the "unchurched." Will programmatic adjustments be enough to connect with these people in these regions? Sixth and finally, given the vast size of the "unchurched," the statistical stability in the size of this group over a decade, and the apparent inability of church's to connect with such people, might this serve as a signal for church leaders that it is time to move beyond cosmetic changes in programs, music, and worship in order to engage people outside the institutional church where people live their lives and seek meaning and fulfillment? Cross-Cultural Communication: What Can We Learn From an Extreme? I recently received an email from someone in ministry to new religions and in follow up to that I decided to take a look at their website to get updated on their activities. I am not going to name the individual or the ministry they are connected with as I see nothing beneficial coming in locking horns with this individual, but would like to use this as an example filled with important intercultural and missiological lessons. This ministry is well known for using antagnostic approaches that attack Joseph Smith, a revered figure for Latter-day Saints. As I reviewed the website for this ministry it appears that they also engage in "outreach to Muslims." As the reader clicks on the photos connected with this outreach we see several individuals from this ministry holding up signs that read "Muhammed Lied.com" as they stand outside a mosque in southern California with beaming smiles on their faces. In light of our post 9/11 world and the international tensions that exist between the Islamic and Christian segments of our world, perhaps we can reflect on this for a few moments. We might ask ourselves a few questions. Does anyone seriously think that Muslims will be favorably disposed to considering the message conveyed by these Christian communicators? What message might the Muslims infer from these signs? Can it in any way be viewed positively by Muslims? Is this an appropriate form of cross-cultural communication? And, do these evangelists intend on trying this approach in those parts of the world where Islam is dominant, such as Asia or the Middle East? And if this wasn't troubling enough, in a review of the board members for this ministry one of them was raised as a "missionary kid" and received an undergraduate degree in intercultural studies from a major evangelical seminary. Obviously, the cross-cultural communication elements associated with these areas did not sink in, or at least somehow there is a disconnect between cross-cultural missions approaches overseas and those in the United States. This ministry indeed represents an extreme on the spectrum among evangelical approaches to new religions and world religions. Even so can we learn important lessons from what not to do as a result of reflection on this? And will we hear evangelicals share their critique and displeasure from such extremes and examples of theological and missiological naivette? I certainly hope so. As I complete my masters degree in intercultural studies I have begun to look beyond the degree and into summer ministry activities. Three teaching opportunities have arisen that I am really looking forward to. The first comes in the form of two seminar series that I will present at Cornerstone Festival during the week of June 25-30, including "Going Native: How Far is Too Far?" which will look at contextualization and syncretism in connection with missions, and the second is "The Feast of Fools: Burning Man, the Rainbow Family, and Holy Festivity" which will summarize aspects of my masters thesis. The second opportunity comes in early July on the 7th as part of a Pagan Festival sponsored by Ogden Pagan Community Builders where I will be speaking on the topic of "Reflections of a Christian Guest on Hospitality and Dialogue in a World of Pluralism." The third opportunity will also be in July as I co-teach a course at Salt Lake Theological Seminary tentatively titled "Faith and Film." For my part I will help students use film as a cultural "text" that enables them to engage in theological reflection, and to disccover ways n which popular culture may serve religious functions in contemporary society. Although we are still working out the details, I am planning on showing and discussing excerpts from The Devil's Advocate and Minority Report, and will be screening and reviewing The Planet of the Apes (1968) in its entirety. These should be instructive and a lot of fun. For a while now I have appreciated and benefitted from the work of missiologist Gailyn Van Rheenen. He wrote the foreword to our book, Encountering New Religious Movements (Kregel Academic & Professional, 2004), and he writes informative newsletters called "Monthly Missiological Reflections." The current issue is devoted to a discussion of contextualization and syncretism, wherein Van Rheenen not only discusses this issue but also mentions a recent book on the topic published as a result of collecting papers presented at a national conference for the Evangelical Missiological Society. The book is titled Contextualization and Syncretism: Navigating Cultural Currents (William Carey Library, 2006). I just ordered the book so I cannot comment on it, but as I read Dr. Van Rheenen's newsletter a few thoughts struck me. Second, I noted that Van Rheenen concluded his discussion of these topics by drawing upon his foreword to our book on new religions and cited the case studies of contextualization to new religions that were included. He did so with apparent approval and yet raised a caution over the need for the contributors to consider how such approaches might lead to syncretism in the future. This caution was a reminder that this topic needs to be addressed carefully by those applying contextualization models to new religions in the West, and perhaps we can address it at a major conference at Trinity for our Lausanne issue group. Third, I found it interesting that among conservative evangelicals we have people offering suggestions from different ends of the spectrum, from Van Rheenen's warnings about contextualization and syncretism to Terry Muck's comments in Interpretation journal that evangelicals have not gone far enough in contextualization models among the world religions. Fourth, while I appreciate the need for caution in regards to contextualization and syncretism, especially in my own work with new religions, in my view evangelicals have allowed this to become the a theological bogeyman that often prohibits evangelicals from either going far enough in contextualization as Muck suggests, or in the case of the new religions, failing to consider and attempt such approaches. Let's be careful as we develop our theology and praxis, but let's not become paralyzed in the process. "This essay discusses how the centrality of the narrative of the book of Acts in Pentecostal spirituality and piety both poses challenges to Pentecostal missionary and evangelistic approaches in a post-9/11, religiously plural world on the one hand, and yet also provides resources for developing new theological understandings of the religions shaped by the doctrine fo the Holy Spirit (pneumatology) on the other. It is further proposed that such a pneumatological theology of religions can be complimented by a theology of hospitality derived from Luke-Acts resulting in a performative pneumatological theology of interreligious hospitality for the church catholic today." "Despite a long-standing rift between missiology and biblical scholarship, current trends in both disciplines - such as a converging emphasis on the significance of social location in biblical interpretation - suggest that the time may be ripe for a 'missional hermeneutic' that would privilege the missiological 'location' of the Christian community in the world as a key to a critical and faithful approach to Scripture." The author begins with a recognition of the centrality of the missio Dei throughout the biblical narrative, a feature often recognized in missiology but many lacking many times biblical studies. 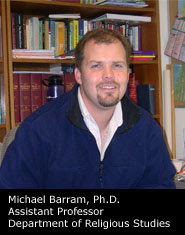 Barram opts for a refreshingly broader definition of "mission," stating that, "As scholarly missiological discussions have progressed, however, it has become more and more common to view issues of socio-cultural, political, economic, and environmental justice as essentially inseparable from the church's evangelistic outreach to unbelievers." The author then moves to a consideration of mission and the significance of social location to biblical interpretation, stating that "human beings never enter an interpretive process as entirely impartial observers." Barram returns to this notion later as a key insight connected to contemporary missional understandings of the biblical text. Barram devotes a good portion of his essay with a discussion of the "disciplinary divide," the unfortunate tendency for missiologists and biblical studies scholars (particularly those connected with New Testament studies) to operate in isolation from each other. 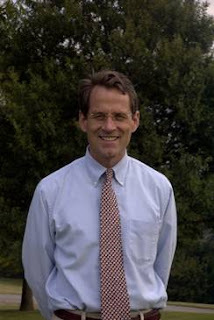 He challenges missiologists to deal with the issues surrounding biblical exegesis with more care by drawing upon the best academic insights incorporated in missiology through rigorous scholarship, and he encourages biblical scholars "to incorporate 'mission' as a valid and consistent rubric for studying NT documents in their original contexts." The next major section of Barram's essay is devoted toward the development of a missional hermeneutic, and he puts forward his own exegetical experiment on this that resulted from his 2001 doctoral dissertation for Union Theological Seminary and published as Mission and Moral Reflection in Paul (New York: Peter Lang, 2005). The author concludes with a return to a discussion of social location as a key to a missional hermeneutic. He concludes by stating, "Ultimately, to read the Bible from a missional perspective is not an eisegetical enterprise but merely an honest acknowledgement of our primary interpretive location as we seek to read the Bible more faithfully today. In that sense, the 'social location' of the people of God is at the very heart of a missional hermeneutic." Readers will benefit from careful consideration of Barram's thesis as the ideas related to social location and a missional hermeneutic seem to be especially relevant for those living in the post-Christendom West. Castells's primary focus is on the interface between technology and the social milieu, which Castells refers to as "the relationship between the net and the self." 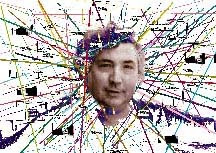 His trilogy goes into great length to describe and analyze "the interaction between the network society and the power of identity and social movements." These concepts have great relevance for theology, missiology, and religious studies, and should be considered by Christians whether the perspective and concern is global or local, particularly in light of the significance of globalization and the recent reminder that "distinguishing between home and mission field no longer makes sense" (Christopher J. Wright, "An Upside-Down World," Christianity Today, January 2007). A preview of Castells's thinking can be found in an interview as part of the Conversations with History series found here. In a previous post I mentioned an interested collection of articles in the January 2007 issue of the journal Interpretation. The issue is devoted to consideration of theology of religions, and it includes an essay by Terry Muck titled "Theology of Religions after Knitter and Hick: Beyond the Paradigm." The article is followed by two responsive pieces, the first by Marianne Farina of Dominican School of Philosophy and Theology, and the second by Amos Yong of Regent University School of Divinity. Following is a summary of some of Muck's thoughts in his essay, and that of the responsive essays. Muck's article summarizes the contributions of Paul Knitter and John Hick to the development of a theology of the religions. He considers three main points that each of these scholars has contributed to the issue, and includes positive comments on these contributions. Muck then moves from this overview of these "scholars par excellence" to a critique of their views. He then suggests what this theological and philosophical approach might go beyond in the form of "beyond Western," "beyond Modern, and "beyond 'the paradigm'" of exclusive-inclusive-pluralist, a paradigm that Muck feels has "outlived its usefulness." Muck then moves to considerations of "where to go from here." As a way of suggesting items for a new theological agenda he suggests we need "bigger theology." Muck finds Amos Yong's writings on pneumatology to be especially helpful here, as well as Veli-Matti Karkkainen's work on the importance of Trinitarianism to Christian theology. Muck also suggests that we need a "wider methology" that develops a Christian theological framework "among the teachers and practitioners of Buddhist, Hindu, and Muslim theologians." He suggests that an examples of this creative work can be found in Gerald McDermott through his book Can Evangelicals Learn From World Religions? (InterVarsity, 2000), Keith Ward at the University of Oxford, James Fredericks of Loyola Marymont University, and Robert Nevill at Boston University. The third component of Muck's theological agenda is "deeper missiology" by which he means taking "the contextualization of the gospel to a whole new level" in the form of "radical contextualization" such as that being experimented with among "Muslim Background Believers and Hindu dharma-based Christians." This would involve "participant theologizing" which is similar to anthropological participant observation. Muck says that "participant theologizing means entering into the religious stories of indigenous peoples and doing religious thinking alongside them, using their terms, asking their questions, using methods common to their way of thinking religiously." Muck concludes his essay by reiterating the need to move beyond the soteriological questions to working to make Jesus' deepest desire more real: "How can we all become one? The first responsive essay by Farina was brief, and in my opinion it did not offer much by way of response or additional considerations. She notes that Muck's thesis is similar to other projects of interfaith engagement, and notes similiarties to efforts in Roman Catholicism. She also discusses her work in Bangladesh among Muslims, Hindus, and Christians in her own efforts at participant theologizing. The second responsive essay by Yong was also brief, but it provided much more by way of substantive interaction with and critique of Muck's ideas. He begins his essay noting his great respect and admiration for Muck on his own theological thinking and praxis before moving to consideration of his mentor's ideas. In Yong's view, although there are problems with the exclusivist-inclusivist-pluralist paradigm, which Yong has mentioned in his own writings, nevertheless he says that he is "beginning to wonder whether we can get beyond the paradigm in terms of this question." He then provides a few of his own thoughts as to why. Yong then moves to question whether participant theologizing is helpful, and offers three questions which challenges Muck's suggestion. Even so, Yong continues his interaction with Muck and states that despite the difficult questions, "I am not prepared to throw in the towel on the idea of participant theologizing" as he wonders whether it is possible to engage in this process through means "that are both 'in' but also not 'of' the paradigm." These three essays provide interesting ideas worthy of consideration by missional Christians as they consider one of the key theological and cultural issues of the twenty-first century, that of a theology of religions. In a future post I will touch on aspects of another interesting article in this issue of Interpretation, one by Michael Barram titled "The Bible, Mission, and Social Location: Toward a Missional Hermeneutic." Imagination, Creativity, Artistry, Fantasy...and Theology? TheoFantastique: In the late 1960s Harvey Cox spoke of human beings as homo festivus, given to festival and revelry, and homo fantasia, the "visionary dreamer and mythmaker." He also spoke of Western culture at this time as being fantasy deprived. This may still be true, and with special application to the church. In your paper you select nine films and then us them as a means for engaging in a theological conversation as to how they impact religious identity. 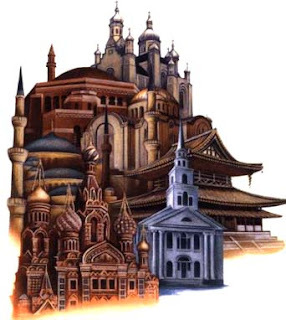 Do you think there is a significant place for fantasy, science fiction, and horror genres to inform the theological imagination, conversations, and reflection of the church in the West? Paul Teusner: In the third year of my undergraduate studies I took a course titled Theological Reflections in Ministry, where a couple of weeks was spent talking about the nature of theological imagination, and the place of imagination in theological inquiry. I have to say the conversations surprised me, in a college that had placed so much importance on rational, theoretical approaches to theology. But it was a liberating exercise - to appreciate how the human mind can imagine future possibilities, and the responsibility of those in ministry to respect them and things of God. I was reminded that God has spoken to many in the Bible in dreams, and that Isaiah calls all to hope where dreams and visions thrive. So I definitely believe there's a place for fantasy in theology, but I believe it's been surpressed by mainstream Protestant institutions where only the academes survive. I would contend that any endeavour to engage in mission in contemporary media culture will necessarily involve embracing imagination as a tool of theological inquiry. TheoFantastique: In your discussion of theology and religious identity you state that "visual and performance arts, over time, became a secular pursuit, away from the sanctions and supports of the Church." How might the church begin to embrace these missing facets of expression and do so as part of the sacred realm? Paul Teusner: Oh, man. If I knew I would be getting fat off the royalties of my book! Taisto Lehikoinen has written much on how different churches have engaged with contemporary media, and all have failed in some way. I would say at this time all endeavours are experiments, and most would cause tensions with those who hold to the tried-and-true ways of doing things. Essentially I believe it will really only be successful in the local setting, whether that be the small community church, Internet chat room or out the back of your local pub or coffee shop. What "the church" will do will depend on how well "the church" listens to the rebellious, curious, tentative and timid expressions of itself on the cusp between religious institution and local culture. To begin with, while Anti-Semitism has unfortunately always been around, the version of Anti-Semitism that was sanctioned and developed after 1918 was of a different nature. It was not the usual Christian Anti-Judaism; rather it hardened with notions of race and Social Darwinism. The book shows how the development of the National Socialist worldview based on concepts of Volk, Volksgemeinschaft, and its embodiment in the notion of Führer sanctioned turning Jews from citizen to stranger, eventually leading to, or being indifferent about what became, the Holocaust. In fact, I mention German Christians as one of the secular religions that helped support National Socialism. It would help if people read the book carefully instead of voicing opinions that are not connected to the archival research on which the book sits. German Christians politicized, that is national socialized, Christianity beyond recognition. Furthermore, the book shows, giving examples, how people cynically used Christian symbols to refer to clear National Socialist ideas and practices. It was an effective way of undermining, especially, the already wobbly Protestant Church. I suggest your readers read the books by Emilio Gentile who distinguishes the sacralization of politics (turning the latter into the secular religion that became National Socialism, specifically, and fascism generally) and the politicization of the Church for reasons of a dangerous opportunism especially in matters pertaining to morality and institutional change. What some claim to be an agenda are rather the author's surprise at what was uncovered in the archived materials--the letters, notes, brochures, lectures and so forth of intellectuals who turned themselves into religious leaders and led their followers to National Socialism. Again, letters by students, including especially students of theology, to Hauer who co-founded the German Faith Movement are most revealing. Since my book ends in 1936, some years before the actual perpetration of crimes in the concentration camps, my book nowhere makes a direct link between ideas developed after 1918 and the killings between 1941-1944. That the churches failed in many ways is made extremely clear in especially Chapter eight of the book. The material is seen through the correspondence centered on Hauer, but one has to be blind not to understand just where and how the churches failed. Finally, it seems as if Pagans are the only religious grouping among whom are still found some, I repeat some, individuals who believe in a pristine innocence, "eine Ur-Unschuld, " pertaining to things human. No religion, certainly not Christianity, is above criticism and self-criticism if for no other reason than that criticism provides the opportunity to know our faults, to know the history of our faith, and with some luck to improve it. Most people today do not even know what fascism is, one reason why my book, or if you prefer the books of Gentile or Griffin and many others should actually be read. At any rate, the link between the likes of Hauer through Hunke to the self-described Pagan European New Right is real. I first encountered the work of Gerald McDermott through my research in the area of theology of religions. This has long been an interest of mine, and the perspective that Gerry brings to the issue is refreshing. Gerry is Professor of Religion at Roanoke College, where he teaches not only on the relationship between Christianity and other religions, but also on his other research interest that deals with religion in America. Gerry is part of the Lausanne issue group on postmodern and alternative spiritualities. He is also the author of a number of books, including Jonathan Edwards Confronts the Gods: Christian Theology, Enlightenment Religion and Non-Christian Faith (Oxford University Press, 2000); three books on practical theology that deal with cancer including Cancer: A Medical and Spiritual Guide For Patients and Their Families (Baker Books, 2004); and books specifically addressing theology of religions, Can Evangelicals Learn From World Religions? : Jesus, Revelation & Religious Traditions (InterVarsity Press, 2001), and the latest, God's Rivals: Why God Allows Different Religions - Insights from the Bible and the Early Church? (InterVarsity Press, 2007). Morehead's Musings: Gerry, thanks for making some time to share your thoughts. I wonder if you could begin by sharing a little of your background. Where did you grow up and study, and what influences might have shaped your interests in theology of religions? Gerald McDermott: I grew up in the Northeast (Boston, Philadelphia and the New York City area) as a Roman Catholic, attending a Jesuit high school in New York City. After a spiritual wake-up call through the Catholic charismatic movement, through a priest who had been to a retreat at Oral Roberts University, I studied New Testament and Early Christian Literature at the University of Chicago. Then, after a career in private school administration, I did a Ph.D. at the University of Iowa, where I studied both the history of Christianity and Asian religions. 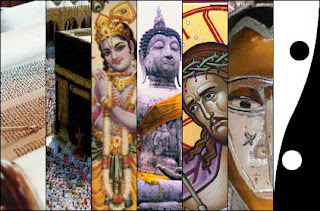 Teaching world religions for years, taking students to the Middle East, and getting to know friends in other religions—all these things started me thinking about how to understand the relationship between Jesus and the gods, or, you could say, my faith and that of my non-Christian friends. MM: Why do you see the theology of religions and the "scandal of particularity," the teaching that God has restricted his "revelation to certain particular times and peoples and places," to be two of the key issues for Christians in the twenty-first century? McDermott: I find these are the questions my students ask. They also are asked frequently by Christians in the churches: How does Jesus compare with the Buddha? 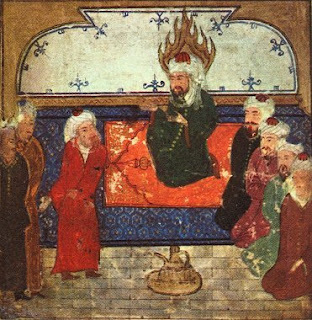 Can Muslims be saved? Why has the gospel been known only to a minority of people in history? Does that mean that all the rest are damned? What does that say about God’s fairness and love? And the idea that the Father of Jesus Christ is a God of revelation—if so many have not received that revelation? MM: I'd like to talk about some of the ideas presented in your books that relate to these topics. In Can Evangelicals Learn From World Religions? you talk about the need for humility and respect in the way we understand and approach the world religions? Why do you see this as so important, how might we be falling short, and would you call for the same type of approach among the new religions or "cults" in America and the West? McDermott: Respect is important because if we don’t show it to our non-Christian friends and interlocutors, we won’t get a hearing. Besides, it is common courtesy and Christian manners (Rom 13:7). We also need to be humble, remembering that we often fail to display Christian virtue, that many non-Christians show more virtue than we do, and that “there but for the grace of God go I.” Humility and respect are important not only because they are both commanded by our Lord, but also because our evangelism will be relatively powerless and probably unfruitful in their absence. When we regard other religions as netherworlds of unmixed darkness, or non-Christians as deceitful sinners somehow worse than us, we fall short of Jesus, who praised pagans for their virtue (Luke 10:25ff). We also fall short of Paul, who was respected by pagans because of the respect he showed them (Acts 19:31, 37). The new religions and “cults” of the modern West are similar to the Hellenistic religions which Paul faced. Rather than denouncing them outright, he appealed to the hints of truth within them and urged their devotees to look to Jesus, who is the full Truth (Acts 17:23). MM: A major part of this book explores the concept of Christians learning about aspects of their own tradition, as well as God's working with humanity, through other religious traditions. This may sound strange, and threatening to evangelicals. Can you briefly share a biblical example where this is the case? I am particularly intrigued by the knowledge of Yahweh among ancient pagan peoples of the near east. McDermott: Let me point you to the early Greek theologians (Irenaeus, Justin Martyr, Clement of Alexandria, and Origen), who, when thinking about why God permitted other religions, said the answer goes back to God's love. That is, God loved the world so much that He gave its inhabitants freedom to reject His truth, both in whole and in part. Most human beings and civilizations have accepted various dimensions of God's truth, but none has accepted them all. Every one, in fact, has rejected the basic proposition that God be Lord over every area of life. That rejection is what the tradition has called original sin. Yet God, in His love, has not left humankind in its sins. He has gone back to the world in suffering love, in Christ, to win it back, to redeem it. And He has gone back over and over to work with individuals and cultures, to meet them where they are in their blindness and hardness of heart--which kinds of blindness and hardness vary from individual to individual and culture to culture--and to patiently lead them back, over time and indeed millennia, to fuller and fuller visions of the Truth, which is Jesus Christ. In the moral sphere, an example of God's willingness to work with human beings even in their hardness of heart, is divorce. Jesus taught that God's original intention is marriage for life, but that Moses permitted divorce "because you were so hard-hearted . . . . but from the beginning it was not so" (Matt 19:8). Notice the pattern: God permits what is less than the best, because His creatures refuse to accept the best. Rather than abandon His creatures because of their stubbornness, God works with them where they are. And by a long process of education and discipline, as God did through Jesus in teaching the original vision of marriage, humans are called to a higher truth. Irenaeus was the first to portray God as the cosmic pedagogue, Who educates His creatures through various stages. He taught the Jews by stages, over the course of millennia, in order to prepare them for the Messiah and the gospel. To use the principle we have just examined, God patiently endured Jewish hardness of heart over centuries, gradually softening their hearts and opening their minds to prepare them for the visible incarnation of deity. In a similar way, we could say, because God respects the freedom of His human creatures, He chose to work with them even when they rejected the fullness of truth, and accepted various religious distortions that arose since the Fall. God did not abandon Jews and Christians who accepted divorce, but worked alongside that "marital system" (if you will), honoring what was true in it (the notion of marital covenant and faithfulness within each marriage) while patiently teaching His people to see the higher vision of lifelong marital covenant. According to Clement, God worked in a similar way with other religions. They are covenants of sorts, comparable to the covenant God gave to the Jews. Within the covenantal system, portions of which like divorce are not God's highest will, God gently and gradually led His people toward the New Covenant with Jesus. As for knowledge of Yahweh among peoples of the ancient near east, there is a developing tradition, running from the Old Testament all the way through the NT and the Greek Fathers, that this knowledge was broken and distorted, but partially mediated by fallen angels who brought truth with them from before the fall, and then used this distorted truth to impersonate Yahweh—thus serving as the foundation of other religions. MM: You also discuss how certain figures in church history reflected on their Christian faith in light of their prior religious experiences. Can you share a brief example? McDermott: Augustine, for example, was aided by Plotinus and his Neoplatonic ontology (his understanding of being, influenced by Plato) to understand evil as lacking in substance, to break from Manichaeanism (a Gnostic sect based on a supposed primeval conflict between light and darkness) by seeing the biblical emphasis on God's sovereignty and holiness, and to battle Donatism (schismatic part of the 4th-century African church that refused to accept sacraments from priests who had surrendered during the persecutions but later repented) by seeing that the church on earth will never be a company of the perfected. MM: You have a new book that was released recently, God's Rivals. Can you tell us a little bit about it? McDermott: I’d be happy to. This tries to answer the question, Why are there other religions at all? If the true God is the Father of Jesus Christ, why did this God permit the rise and flourishing of other religions? Although this question is new for us, it wasn’t new for the biblical authors and early church thinkers. They had thought long and hard about this question, and came up with an intriguing set of answers. We have generally not recognized these answers, or if we have seen the answers, we have not imagined that they were answers to this question. Instead, reading with eyes that have been conditioned by the Enlightenment, we have overlooked them or dismissed them as ancient superstition. If there is one theme, or red thread, that runs through the book, it is this: the biblical authors and early church theologians saw the religions as not simply human constructions but spiritual projects as well. The religions are living and breathing beings, if you will, that have inner souls, derived in part from spiritual entities called “gods” by the Old Testament and “powers” by the New Testament. Not every bit of every religion is spiritual or directly linked to spiritual entities, but at least some parts of some of the religions are just that. MM: You present some interesting thoughts about the existence of gods in the Old Testament. Of course, evangelicals tend to interpret these as angels or false gods with no real existence in light of what you call a simple monotheism as exemplified in Isaiah. Can you share a little of your research and thinking that arrives at different interpretations? McDermott: Sure. After years of thinking all references to “gods” in the OT referred, quite self-consciously, to pagan delusions, I came to see that they actually exist for most authors of the Old Testament. The Psalms fairly explode with evidence. “There is none like you among the gods, O Lord” (86:8); “For great is the Lord, and greatly to be praised; he is to be revered above all gods” (96:4); “Our Lord is above all gods” (135:5); “Ascribe to Yahweh, [you] gods, ascribe to Yahweh glory and strength” (29:1, my trans. ); “He is exalted above all gods” (97:7); “For Yahweh is a great god, and a great king above all gods” (95:3, my trans.). And so on. But it’s not just the Psalms. In Exodus Yahweh predicts that he will execute judgments “on all the gods of Egypt” (12:12). The author of Numbers then declares that that is indeed what happened: “Yahweh executed judgments against their gods” (33:4). There is no hint that Yahweh is the only God. Instead it is clearly implied that Egypt has her own gods, and Yahweh will defeat them. When Yahweh gives his people the Ten Commandments, the first commandment implies the existence of other gods: “You shall have no other gods before me” (Exodus 20:3; see also Deut. 5:7). In Exodus 23:32-33 Israel is told not to covenant with or worship other gods; there is no suggestion that the gods of Israel’s neighbors do not exist. Our thinking that the verse itself presumes the non-existence of other gods owes more to our own prejudice than to the passage. Deuteronomy picks up this theme. Israel is told, “Do not follow other gods, any of the gods of the peoples who are all around you” (6:14). Yahweh predicts to Moses that after he dies, the Jewish tribes “will begin to prostitute themselves to the foreign gods in their midst, the gods of the land into which they are going” (31:16). Again, “the gods” seem to have real existence. "When the Most High apportioned the nations, when he divided humankind, he fixed the boundaries of the peoples according to the number of the gods; Yahweh’s own portion was his people, Jacob his allotted share." (32:8-9; emphasis added). The implication is that Yahweh delegated supervision of other nations to other (in the context “subordinate”) gods, while he exercised direct supervision of Israel. MM: Conservative evangelicals will likely be unsettled by this, perhaps even labeling it "pagan" and "unbiblical." How would you respond to this concerns? McDermott: At first glance it does seem pagan, but not when you consider the immense differences between pagan and biblical cosmology (view of the cosmos or what we would call “ultimate” reality). First of all, among Israel’s pagan neighbors the gods were roughly comparable in stature and power, so that there were many rivalries and assorted relations (often sexual) among them. But for Israel, Yahweh brooked no rivals. There was only a single council of the ruler and the ruled. There were no other relations among the gods. Second, while for Ancient Near Eastern pagans monsters and gods challenge the high god for mastery, Yahweh is depicted in the Old Testament as having conquered them all. Some still challenge, but there is no doubt that in future fights Yahweh will win again. The monsters are subservient to Yahweh in Ps. 148:7 (“Praise Yahweh from the earth, you sea monsters and all deeps”), Leviathan is a “tamed pet” in Job (40:25, 29), and in Genesis 1 the cosmic forces are no longer divine—as they were for many of Israel’s pagan neighbors. Finally, the Israelites believed there was only one true God. There were other “gods,” but none had the power of Yahweh, and they were probably created by Yahweh anyway. What power they have is on loan from Yahweh. In fact, as some Old Testament texts proclaim, Yahweh alone is the creator of all. He alone is therefore sovereign of all. And He alone is eternal. So while there are some superficial similarities to pagan religions of the Ancient Near East—in that both Israel and her neighbors believe in a cosmos animated by a variety of powers—there are still significant differences. And enough differences to sharply distinguish biblical religion from pagan religion. MM: You also talk in the book about learning from thinkers in the church who wrote on this topic. How might it be important for us developing a theology of the religions in the twenty-first century to reflect on Christian thinking related to this in the third, fourth or other centuries? McDermott: Let me suggest a number of ways in which this new understanding could change the way we think. First and most obviously, it should change the way we think about the religions. They aren't just human creations, but they may also involve real cosmic powers. This should change the way we think about our friends and neighbors who practice other religions. 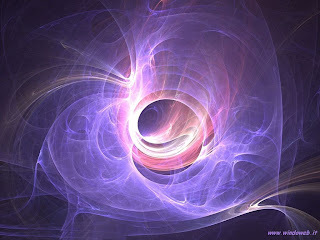 They are involved not simply with human constructions but real spiritual entities. These entities may have been originally created by God to praise Him and further His Kingdom. Even if they later rebelled, they still retain and teach truth in the midst of distortions. And they are used by God, in God's own sovereign plan, to serve the ends of redemption, even though at one level, and for all that we can see, the religions seem to resist God's purposes. This also means that other religionists are not our enemies. And we should not fight them. Our real battle, as Paul advises us, is not against human beings ("flesh and blood") but against "the cosmic powers of this present darkness" (Eph 6:12). If we have any enemies besides sin, flesh and the devil, it is the cosmic powers that war against God's Kingdom, and sometimes use other religions to mask their designs. (They also wage war within the church, often pitting Christian believer against Christian believer!) And even if we do war against cosmic powers that sometimes use other religions, our weapons should be spiritual not worldly. "For the weapons of our warfare are not fleshly" (2 Cor 10:4, my trans.). This means patient persuasion, not hostile argument. It means loving witness to others who sincerely believe they have the truth. We may believe they have been deceived by spiritual forces, but we must first acknowledge that we don't have complete possession of the full truth, either. And that we are no doubt also deceived to some extent--even though we know that Christian faith is the final reality to which all other faiths should eventually lead. Having access to the true God through Christ does not mean complete possession of the Truth--since we are finite and sinners, belonging to a church that is still growing in its understanding of Christ. This also means that we have a lot in common with believers of other religions. We agree with them that final reality is spiritual not material. We agree with many of them--Muslims, for example--that God is moral and that He has given us divine law. In fact, this understanding of the powers, as we have seen above, reinforces the idea that we must submit to moral law. It is for this reason that Catholics could work side-by-side with Muslims at the 1995 United Nations Conference on Population and Development in Cairo to prevent abortion-on-demand from being enshrined as a universal human right. It is why Christians and Muslims can work together today to defend marriage. They, along with believers from other religious traditions, agree with Christians that this world is the creation of God, and that one day all of us will be judged. They agree that God is just and good. And this commonality in knowledge about God and His ways helps restrain sin and evil in us all, so that the world is a happier place than it would be without these religions. It also means that we need to share the gospel with more respect and sensitivity. If our non-Christian friends and neighbors sense that we believe their religious traditions contain religious truth, they may be more open to what we have to say. They won't feel they have to deny everything they have ever believed and practiced in order to become a disciple of Jesus, or that their culture has had no value in their religious pilgrimage. They will have a better chance of feeling love and respect from the Christian sharing her story. MM: You are also interested in the study of Mormonism, and recently completed a dialogue book on this topic with Robert Millet of Brigham Young University. Can you tell us a little about this book, and what did you learn during this dialogue? McDermott: This book (Claiming Christ: A Mormon and an Evangelical Debate Jesus [Brazos Press, September 2007]) grew out of two debates I had with BYU theologian Robert Millet at Roanoke College. Both debates drew large crowds of both Mormons and evangelicals, demonstrating the interest in both communities in how they differ on Jesus. After the second debate, we asked a publisher if he was interested in a much longer, more fleshed out book version of the debate. The book includes chapters on authority and canon, Christ and the Trinity, Mormon claims that Jesus went to North America, the Book of Mormon, faith and works, what happens to non-Christians, and other matters. Bob Millet and I discuss how all of these subjects affect our views of Jesus. Now to your question. Early on in my Evangelical life I was told that Mormonism is a cult with radically un-Christian beliefs. Chief among these, I was told, were the ideas that we are saved by our works and that Jesus is not God. Their focus, I thought, was on Joseph Smith rather than Jesus Christ. Then, a number of years ago, I met Bob and a number of his colleagues at Brigham Young University. I learned from Bob’s books and our conversations that he and others have been bringing a new emphasis on grace to the LDS community. I also discovered that there was more emphasis on grace in the Book of Mormon and other parts of the LDS canon than I had imagined and that Mormons worship Jesus as a God. I saw a concentration on Jesus which I had previously thought to be absent. But there are still serious problems. As I have tried to show in this book, there still are considerable doctrinal differences between not only Evangelicals and Mormons, but between Mormons and the general stream of orthodox Christianity. Throughout the book, I examine these problems in great detail. Bob, of course, disagrees with me on most of them. And that is what, we think, makes for a good book. MM: Gerry, it has been a privilege to learn from your scholarship and to benefit from it in the shaping of my own theology and missiology of religions. Our Lausanne issue group is also richer due to your contributions. I look forward to your continued work. Smith, The Origins of Biblical Monotheism, 47. Smith, The Origins of Biblical Monotheism, 36. Jason Pitzl-Watters of the Wildhunt Blog recently shared his concerns with me about my recent interview with Karla Poewe on National Socialism via his comments connected with that post. He has also written up a post on his blog that discusses this in more depth which can be found here. First, I offer my apologies to Jason and others in the Neo-Pagan community for the perceptions that I or Dr. Poewe were saying that Neo-Paganism is to blame for the rise of National Socialism. From my perspective this is not the case, and I repudiate any attempts at historical revisionism, whether from Christians or other religious or spiritual communities. The situation surrounding this tragic period of history is the result of a large number of forces at work in a complex cultural, social, and political matrix. And I do not wish to be construed as saying that Christianity did not have some part to play in all of this, including any contributions to anti-Semitism and the relative silence as this evil grew and exerted its destructive power. Second, I have worked hard to do credible research and develop sound understandings of Neo-Pagans, and have also tried to develop relationships with those in the Neo-Pagan community. I will continue to strive for these high standards and I ask my Neo-Pagan contacts to be patient and forgiving as a result of this affair. If nothing else, blame it on the poor questioning skills of the interviewer in this case. Third, I have contacted Dr. Poewe and sent her a copy of Jason's blog post and asked for her to provide me with her thoughts in response that I will post here. I hope we can move forward positively as we work through this matter together.